1. Before signing up for auditions please note that only high-school and college-aged musicians between 9th grade and age 22 are eligible to audition for and participate in AYO. 2. Please note that AYO is a private, non-profit 501c(3) organization that operates independantly. As such, all musicians who are accepted and choose to register for the 2019-20 season will be charged a tuition fee for the year. Please review our FAQ's page or contact us at [email protected] or (907)538-6406 for more information. 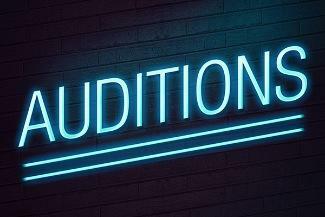 - AYO Auditions are open to youth musicians who will be between 9th grade and age 22 as of August 2019. - Every musician must audition each year. - Response letters will be sent out via regular mail within 2 weeks time to everyone who auditions. - No Audition Fee refunds will be issued. Please visit our website www.AlaskaYouthOrchestras.orgfor further information. Please email [email protected]with any questions or concerns.